Everything is running smoothly when you notice that some of the powder will not penetrate a faraday cage (inside corner or complex area that acts like an electrical screen that stops charged particles). This faraday cage may be due to the powder delivery rate being too low for an adequate amount of coverage. Increase the powder delivery rate and airflow and adjust the spray gun position to gain sufficient powder coverage. It’s possible that during application, the air velocity was too high, and the powder is blowing out of corners. 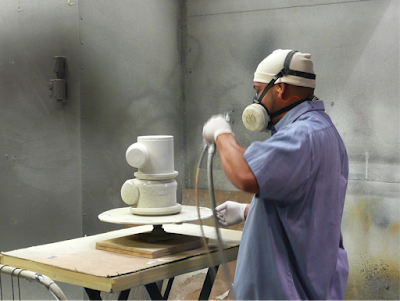 Solution:Try adjusting and optimizing the spray gun positioning and reducing the air flow rates. The problem could be that the high voltage is creating a strong magnetic field, obstructing the penetration. Reduce voltage to the electrical field that is currently limiting the penetration. The part is not grounded enough for powder to penetrate nor film to build. 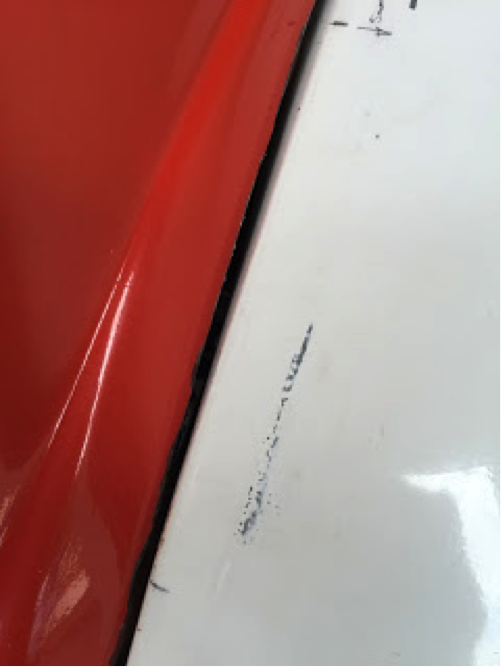 Check the contact areas to ensure that there is no buildup of cured coating, grease, or other insulating material that impedes ground continuity. Lastly, it could be a case of incorrect spray pattern and gun placement. Reset the guns to an ideal nozzle selection, pattern setting, and positioning to coat recessed areas. Origin:There may be excessive moisture or oil in the air supply, in the fluidized bed, and/or within the powder booth. The humid air acts as an antistat (lessens or prevents accumulation of static electricity). Monitor and control the humidity in the booth and in the air supply. 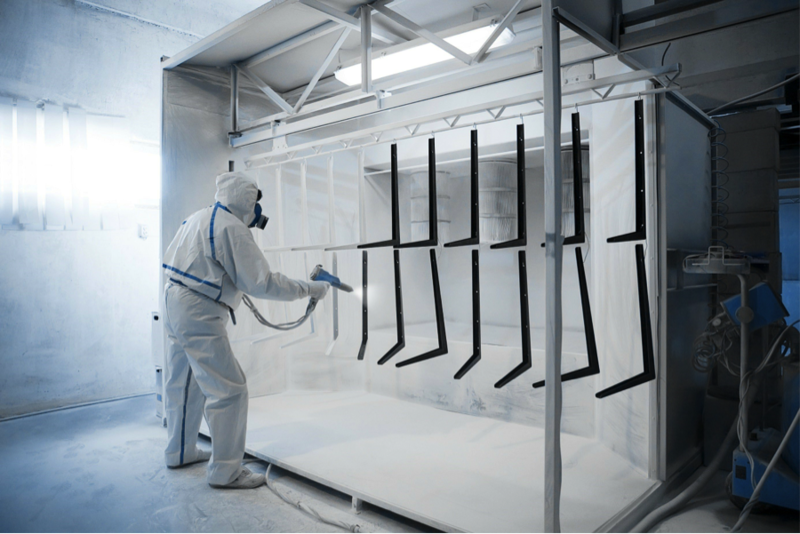 Second Origin:Excessive moisture in the powder coating could be preventing the powder from building up efficiently. Solution:The moisture sometimes acts as an antistat as well. Store the powder in a controlled, dry environment. 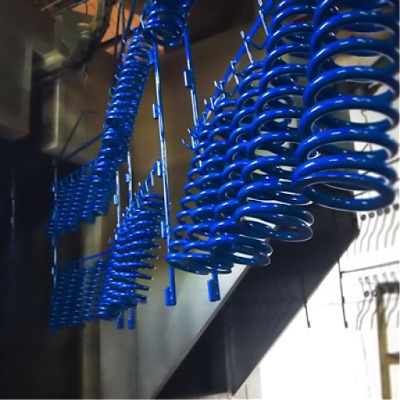 It’s possible that the powder coating contains higher concentrations of small-sized particles. Sustain a constant ratio of untouched powder and reclaimed powder. Monitor the particle size of the powder. If the untouched powder seems to contain excessive fines, contact TCI Power Coatings. You could have picked a powder with the wrong composition or were given one for another application. 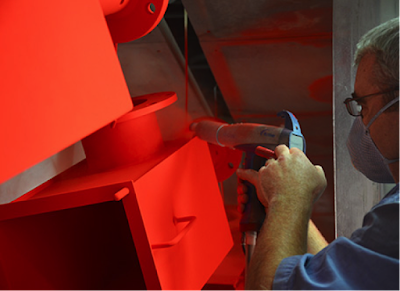 The coating may be formulated for a specific application, so be sure to contact TCI Powder Coatings to verify or correct the issue. The powder may not have the ability to tribo charge (by friction). Some powders can charge by friction while others cannot. Contact TCI if you find this to be the problem. If the powder does tribo charge, make sure the tribo tube is not coated with powder particles that limit the creation of friction. We are pleased to announce Rodney Usry’s promotion to Quality Assurance Manager! He will play a key role in our effort to ensure continuous improvement throughout our business and in becoming the premium brand in powder coatings. In his new role, Rodney will review all products manufactured for compliance with specifications, manage customer complaints, and collaborate with co-workers to conduct weekly reviews of all open compliant issues and assure proper technical and management focus on solutions. Additionally, Rodney will complete documentation of issues identified and communicate analysis and solutions to the customer, field reps, and the TCI internal team. Eventually, he will work with the Quality Director (a new position to be filled) to fully acclimate the individual to TCI processes while promoting long-term commitment to continuous improvement. Rodney is a 20-year veteran of TCI with intimate knowledge of product formulations and processes. His driven nature helps him to succeed, yet he attributes his success to the people that he works with at TCI, many of whom he has known since childhood. Rodney has always enjoyed many aspects of formulating powder coating and problem solving both internally and externally. When he is not at TCI contributing to company success, Rodney enjoys his son’s baseball games and spending time with his daughter and new grandson. His great experience and knowledge of the business as well as his commitment to excellence will yield great results. Please join me in congratulating Rodney and supporting him in his efforts. Have you been noticing less than desirable cohesion when curing powder-coated parts? Little or no cohesion on a cured part can stem from multiple origins. We're here to help you fix this mishap and maintain optimal curing results. The phosphate coating weight is too low, usually due to the wrong temperature or amount of time. In order to increase the weight of the coating, increase the phosphate or accelerator concentration. If this fails to work, increase both of these concentrations. Additionally, increase the process, time, and temperature. Adversely, the phosphate coating weight could be too high. Reduce the concentrations, time, or temperature of the process. Potentially, leftover surfactants and soils remain, limiting phosphate disposition. Adjust the cleaning and rinse stages. Be sure to orient the parts for maximum coverage, and clean and adjust the spray nozzles for this same result. Throughout the process, always be sure to maintain high rinse tank water purity. There are unidentified soils remaining in the metal and/or somewhere within the process. Solution:Verify that all of the metal and process soils have been identified. To eradicate unwanted metal or soils, treat surfaces chemically or mechanically through blasting or polishing. 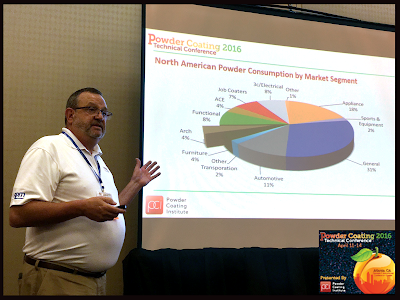 On April 14th, The Architectural Segment Leader of TCI, Steve Jones, presented at the Powder Coating Technical Conference, sponsored by the Powder Coating Institute. The technical conference was held at the Georgia International Convention Center in Atlanta, Georgia from April 11th-14th, 2016. Jones presented a technical session called Everything You Wanted to Know About Architectural Powder Coatings. During this session, he spoke of the best architectural coating applications, performance testing techniques, coating chemistries, and shared information on warranties. The annual Powder Coating Technical Conference gives powder coaters and end users forums to connect and communicate about technology as well as new inventions and ideas. The conference is a place for those within the industry to talk about the newest changes and developments for powder coating technology and how to improve business. More on the Powder Coating Technical Conference can be found on PCI’s website. For information about the TCI’s Architectural powder coatings product line, TruDurance™, please visit our website here. You notice little or no adhesion on the cured powder coating part. The phosphate coating weight could be too low. Increase the phosphate and/or accelerator concentration, process time, and temperature. Second Origin:In contrast, the phosphate coating weight could be too high. Solution:Decrease the phosphate and/or accelerator concentration and process time. Third Origin:Surfactants and soils stuck around, limiting phosphate disposition. Solution:Adjust the cleaning and rinse stages, orient the parts for maximum exposure, clean and adjust the spray nozzles, and, as always, maintain high rinse tank water purity. Fourth Origin:There are unidentified soils that remain in the metal and/or the process. Solution:Check to make sure that all metal and process soils have been identified. TCI Powder Coatings is pleased to announce that Steve Brattoli has been promoted to Senior Field Service Technician. He currently provides service to Eastern and Central Michigan, Ohio, Western Pennsylvania, Fort Wayne, Indiana, and Canada. New England states have just been added to his reach as well. As a valued asset within the TCI organization in supporting core business as well as offering his expertise in new business development and growth within his territory, Steve is expected to excel greatly in this new position. Steve has been involved in the powder coating industry for 28 years and credits his success to his past and current customers and their needs. What drives Steve the most is the ability to have a positive influence on customers and help them to improve their existing process. 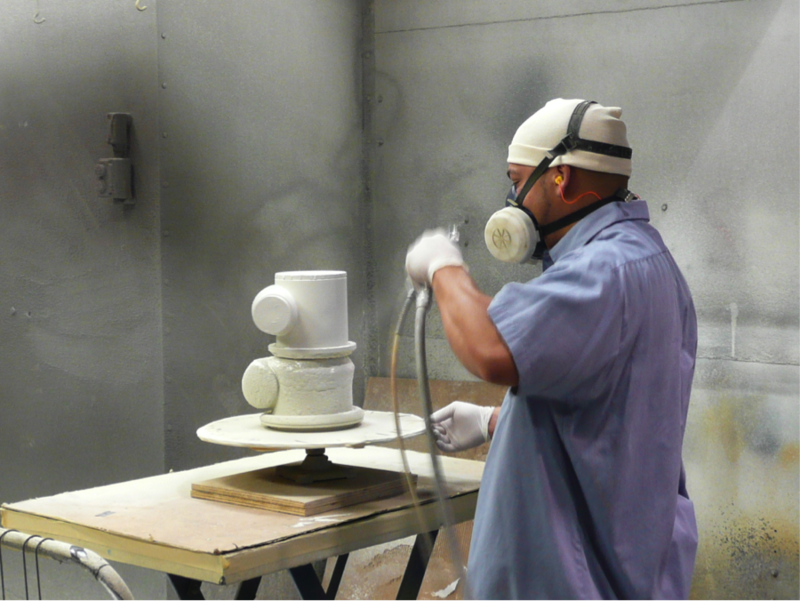 He believes that this ability is also a distinguishing factor of TCI Powder Coatings when compared to its competitors. Steve loves “providing the customer with hands-on training to make their life much easier, but most importantly, to let them know they have support when and where they need it." Steve resides in Lorain, OH with his wife of 20 years, Koreen, and their three children. Steve and his family enjoy visiting their daughter Madison at Kent State University, watching their daughter Chloe compete in high school swimming, and watching their son Aidan play hockey. Steve’s dedication, technical ability, and attention to detail help him to assist TCI in being the leader in the industry in field service and support. Please join TCI Powder Coatings in congratulating Steve on his well deserved promotion. There is a powder on the surface of the phosphate-coated part. What do I do to keep this leftover powder from sticking (or not sticking) around? First, check and see if the parts are fully rinsed or if the rinse is contaminated. If neither of these are the primary problem, check to see if sludge is being transferred. If these three causes do not seem to be the problem, check to see if the accelerator concentration is too high. If the parts are not fully rinsed or the rinse itself is causing the contamination, orient the parts for maximum coverage. Then, clean and adjust spray nozzles for maximum coverage and maintain high rinse tank purity. If sludge is causing the problem, precipitate and filter the sludge from the cleaning stage. Lastly, if the accelerator concentration is too high, simply reduce it.